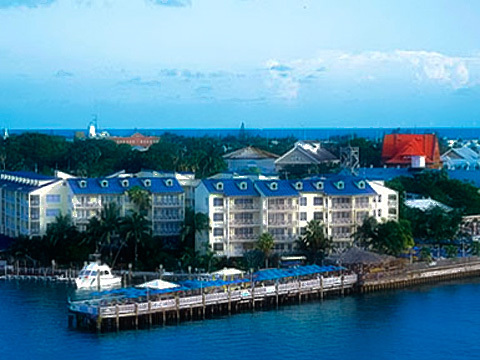 KEY WEST, FL - Nestled between Key West Harbor and Mallory Square in the Florida Keys, where historic Duval Street begins the old town experience is where youâ€™ll find the Ocean Key Resort & Spa. Here, quaint streets are lined with colorful, 19th century clapboard houses, and bicycles are the preferred modes of transportation. This breathtaking Florida spa resort in Key West captures the essence of island resort living with oceanfront hotel accommodations that inspire and energize, all overlooking the placid waters where Gulf of Mexico meets the Atlantic Ocean. Ocean Key Resortâ€™s waterfront dining restaurant, Hot Tin Roof features a relaxed elegance with dramatic sunset views. Its menu is highlighted with a mix of seafood and land fare prepared in a unique culinary style dubbed as â€œconch-fusion.â€ Ocean Key Resort presents; SpaTerre (Key West), the signature spa of Noble House Hotels & Resorts, a boutique spa and fitness center designed to represent the classic Florida beach house. Experience global cross-cultural experiences and rituals from Indonesia, Thailand, India and Australia... Conde Nast Recommended Key West Hotels Key West ResortsAmong luxury Florida resorts, Ocean Key Resort & Spa stands out from the rest. Other Key West hotels don't let you experience and enjoy the fabulous sunsets and the excitement of old town quite as much.